You must make reservations at least 5 minutes in advance of the time at Z Cucina di Spirito. Valet parking is offered Thursday through Saturday. There is also free parking available across the street in a large lot next to the Post Office. In addition to a surface lot located behind the Grandview Carryout (also located across the street from Z Cucina). Z Cucina runs a daily catering operation to business's throughout the Columbus Metropolitan area. We are equally adept at catering weddings, special events or "formal" affairs as full or partial buy-outs of the restaurant space. Our staff can create a special menu just for you & your guests. Check out our website for more details. Larger groups seeking private functions can be accommodated for lunch or on Sundays. 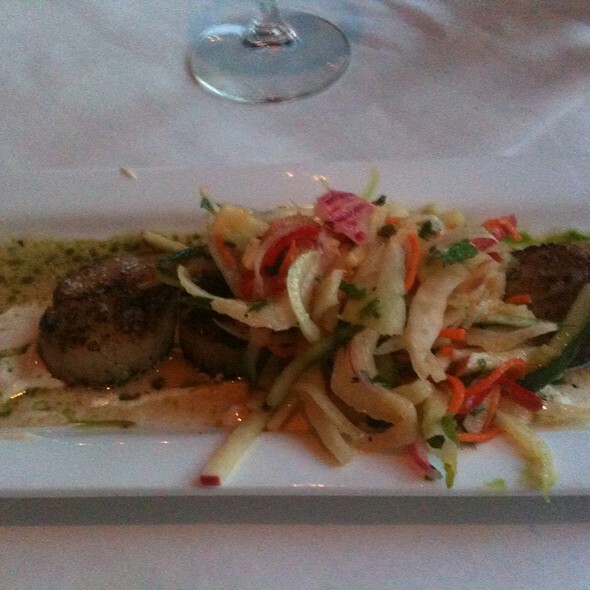 Opening in the Fall of 2005, Z Cucina topped the list of new restaurants according to Columbus Monthly Magazine. Described as "unobtrusively chic", Z Cucina is a blend of traditional & modern Italian cuisine that also moves with ease into the realm of Mediterranean flavors. 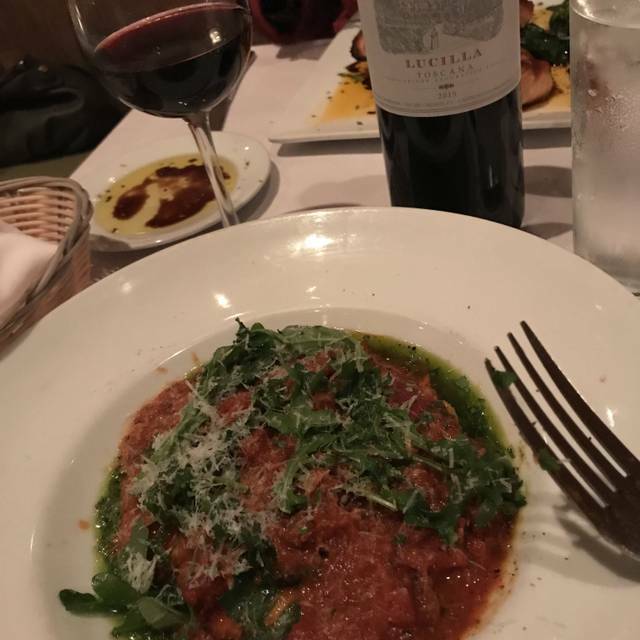 With an International Wine List married to the chef's cuisine, Z Cucina offers the rare experience of distinctive dining in a neighborhood setting. Best food & service! Always consistent quality & experience. Two years ago, we found this gem and have been back several times. We have never been disappointed and look forward to each visit. We are always greeted by the owners and they make you feel at home. The food is excellent and we will look forward to having dinner at their new restaurant. Thank you for making our dining experience relaxing and enjoyable. The entree was poor at best. Wine and service were good . With this offerings, we have many other choices with much better value. Overall, it was a disappointing experience. Delicious, fresh pasta. Chicken parmesan had a crisp outside, yet was juicy inside. Cheese and meat board varied and delicious. Amazing quality, service and value. I would go back in a heartbeat. Perfect spot for dinner date. Food was fantastic and the wait staff very attentive. I will be back! Visiting Columbus for a conference and found the restaurant on open table. Outstanding find! Server was fantastic- appetizers- cocktails-entrees-desserts - all 5 star!!! Spoke with owner and gave him our compliments. This is an awesome restaurant- not to be missed! 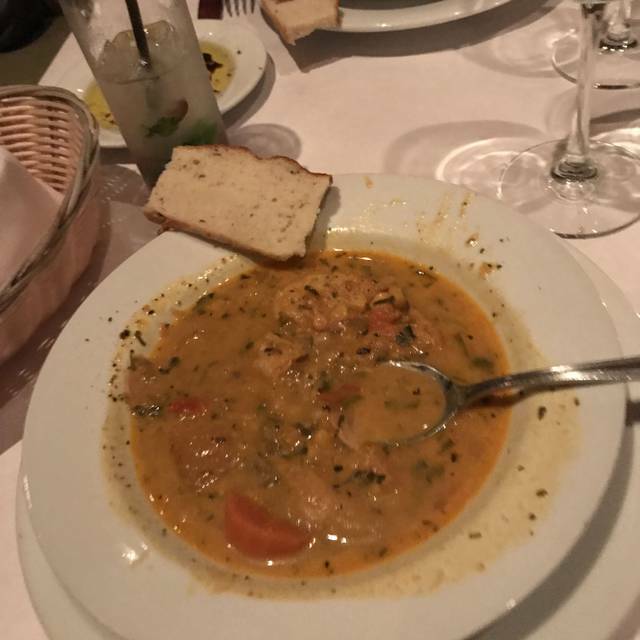 Food was not good, service not great. Never received our bread and never received our leftovers boxes. Will definitely not dine there again. 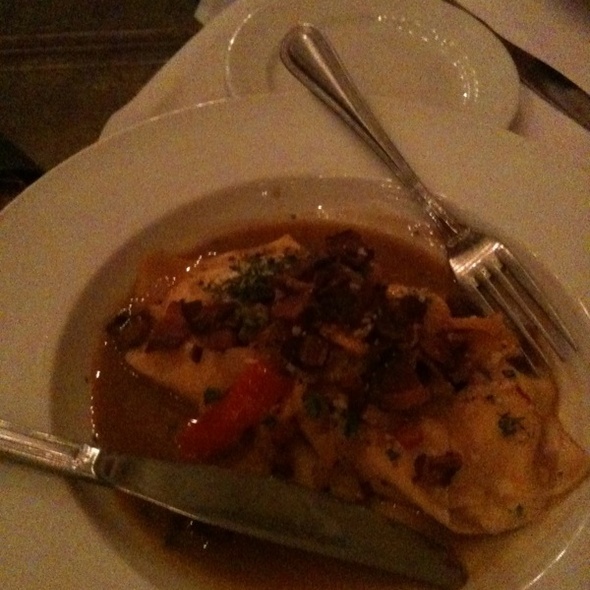 The food was very good, but the service was extremely slow. It took about 15 minutes to get our drinks after ordering them. Then we had no bread/ olive oil until the appetizers came out. At that point, after drinking wine without any food, we didn't want the bread. My family and I went here for the first time to celebrate a birthday. The food was delicious, there's something for everyone. Our server was the right amount of attentive but respectful. Plus, it's a small restaurant but it didn't feel overcrowded, even when busy. We'll be coming back! We had great service and an awesome meal. We had a group of six and made a reservation a couple days ahead during the NCAA tournament. One of the participating teams was eating there while we ate there, and the restaurant handled all of that with ease. Homemade pastas are excellent. Save a little room for desserts, even if you are sharing them. Family get-together to celebrate my son’s birthday. We were a party of 8 and everything was perfect! The food was exceptional. The staff were courteous and attentive. My son got a surprise birthday dessert. We all look forward to our next visit!! We absolutely loved our entrees. I had the lamb, yum,yum,yum,yum,yum,yum,yum. My fiancé had the lasagna...more yums!!!! For an appetizer, we had the fried cheese. Of course, more yums!! The homemade pasta sauce on the fried cheese and lasagna was amazing. We are pizza snobs, so we got a sausage pizza to go and ate it the next day. It was just OK. The only reason we gave 4 stars is because we both thought the desserts were average. I got the tiramisu and she got a chocolate kind of cookie with peanuts and white cream. ( She doesn't remember the name). 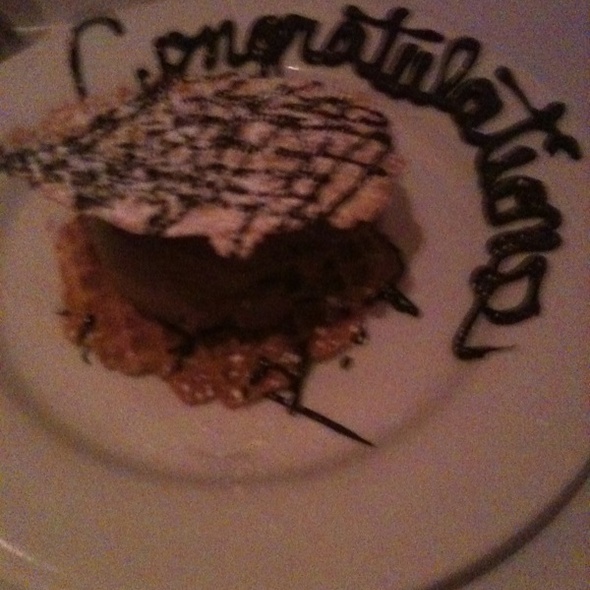 It was a birthday for both of us and the restaurant presented us with free chocolate mousse for more dessert. It was very good and extremely nice of them. Main courses were very bland and lacked flavor. Sweet pea gnocchi was very plain. Veal was just ok. Expensive meal that was not worth it. Great atmosphere and good variety, along with their pasta staples. Always nice to have Rick stop by the table to visit. As usual Z Cucina Di Spirito did not fail us! The ambiance, service and food were impeccable! We will definitely be back! Great drinks, great service, great value. Awesome spot. Had dinner here on a Saturday night to celebrate a birthday. Seated quickly, Doug our waiter was very knowledgeable and made great recommendations. Service was not rushed, in fact he asked us if we were under a time constraint. We were not, so if you're in a hurry you better say yes. Gave us more time to talk with our son and his girlfriend who we had not seen in awhile. Had the fresh mozzarella and frito misto for apps. Linguine and clams, sausage and tortellini, chicken parm, and strawberry grouper for dinners with a side of meatballs to try. Everything was excellent. Dessert of chocolate mousse (comp for birthday), cheesecake and crème brulee. It is a little noisy, but with a larger group that's ok. We'll be back. Sarah was our server and did an excellent job. Absolutely wonderful food, drinks and service!! We had several friends cancel last minute and so our table needed to be redone, which caused us to not be assigned a waiter. After a few minutes, we flagged someone down and they immediately got us taken care of. Our waiter Eric was wonderful, the food tasted amazing and the drinks were well-crafted. Definitely coming back! Our server Becca was absolutely wonderful! Excellent service. Parmesan Creme Brulee and the Mocha Pots de Creme superior. We will be back. This was an amazing meal. The food and service were top notch. Almost half of the table got the pumpkin swordfish (although no pumpkin in the recipe - go ahead and visit Z Cucina for kind of a neat story to go with the fish) and everyone who ordered it, loved it. Not only did half the table order it, but by the end of the dinner, everyone at the table had eaten it....for two great reasons: 1) the portion was worth the price. I almost wish I had negotiated a decreased price for a smaller serving b/c I didn't need that big of a serving. I was trying to have others help eat so I didn't look like a jerk. 2) It was so good, how could you not share with your party and rub it in their face? Finally, our party is very quirky. That is all I will say. Doug did a great job tonite, and he had to put up with a tricky split of the bill but he handle it like a true professional. The most amazing service and truly an experience you will remember! Delicious food and drinks. Wonderful service in a very comfortable setting. 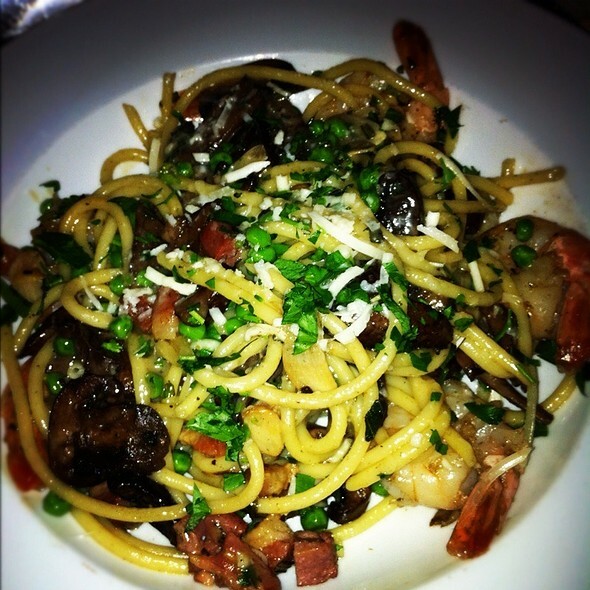 Neutral, If someone was asking about a good Italian restaurant I would probably include it in my list. So I am adding this sentence to make sure that I am at least 50 characters in length. Perfect ambiance, perfect service (Doug, he was amazing) and perfect food. We loved it! Thanks so much for accommodating our larger party on a busy night! The entire experience was fantastic. We were promptly seated, and I don't think there was a bad table in the dining room. The menu had a great selection with something to suite everyone. We will definitely be back! My boyfriend and I really enjoyed our dinner here! Both of our meals were excellent. We will definitely be back. 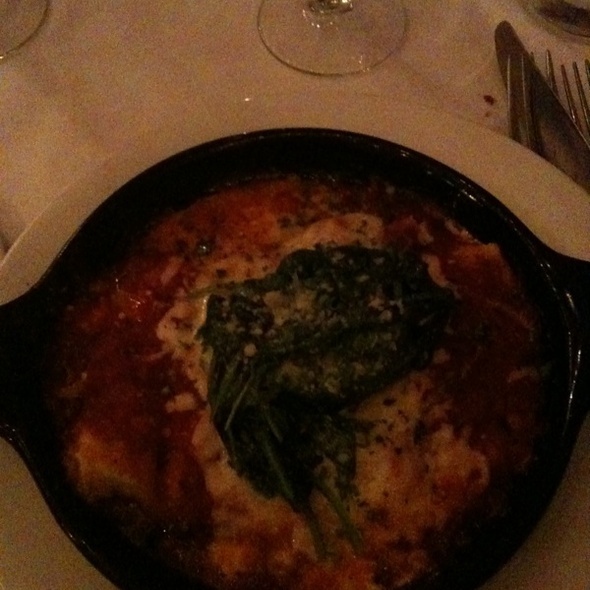 the chicken parmigiana was so, so good! all 3 of us ordered the same thing and loved it. good Moscow mule drink too. I enjoyed the olive oil mix with the bread but the bread was a disappointment. I've been to other Italian restaurants and they have had better bread. this bread was room temp/some slices were even on the colder side and just plain tasting; I would personally like hot and crunchy bread or something more flavorful bread like ciabatta or seasoned bread. Awesome in every way. One of our faves across 11 states. A must stop for locals & travelers. ChixParm, Lazygna, Ricotta Balz, MeetBalz. All fabulous! Our server was fantastic. The atmosphere was quiet and great for the two of us. Valentine’s dinner. Moderate noise level but still able to have a conversation without shouting across the table. Food was delightful. 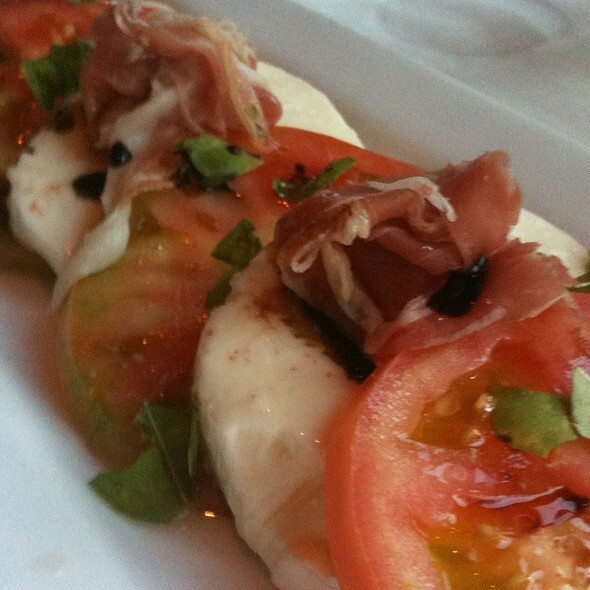 Recommend the mozzarella appetizer! From the moment we pulled up to valet, to the endo of our meal - perfect in every way. Sarah was an outstanding server. 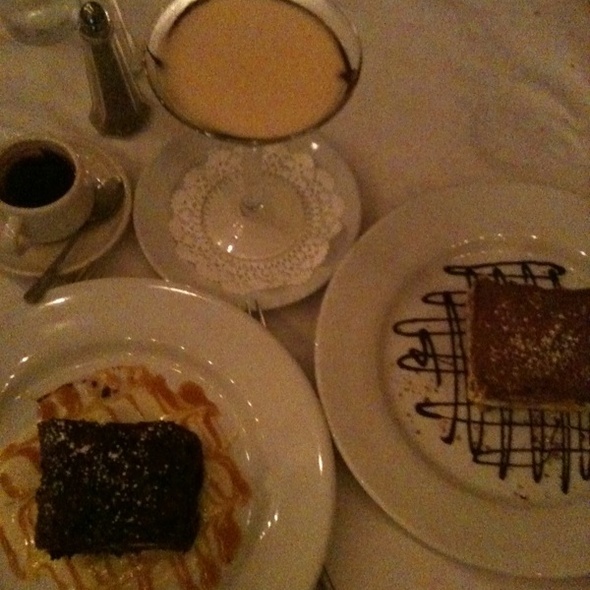 Drinks, salad, entree, dessert - perfect!